Luiz Sanches has been with AlmapBBDO since 1995, first as creative director and later as Chief Creative Officer and Partner. 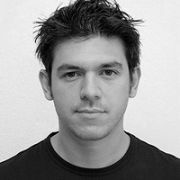 Prior to joining AlmapBBDO, Luiz was junior art director at DM9DDB and at Kurshibaum and Bond and Chiat Day. He worked on numerous major international accounts including Volkswagen, Audi, Pepsi, FedEx, Embratel and Claro among others. Luiz won the Bronze Lion at the Cannes Festival Young Creatives and three additional lions in press and poster in 1994 and 1996. All in all, he has won 15 Cannes Lions, and awards at the FIAP, Clio, London Festival, One Show and NY Art Director's Club. He majored in Advertising and Communications at the Anhembi-Morumbi School of Advertising and graduated in 1995 after having visited the School of Visual Arts, NY for one semester.